In the MEN AT ARMS series. Covers the involvement of the Legion in World War I, the colonial campaigns from 1914 until the outbreak of World War II and the campaigns of the Legion in World War II. Includes illustrations of combat and dress uniforms for the period. 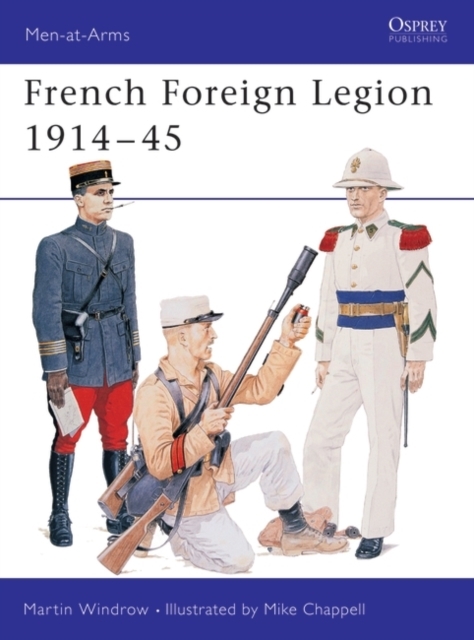 A companion to FRENCH FOREIGN LEGION SINCE 1945.